Our favorite traditional style Christmas garland embroidered and accented with a traditional style monogram . 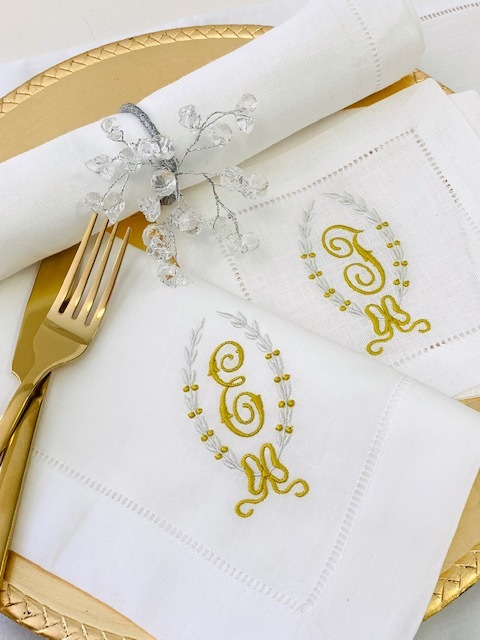 100% 22" White Linen Napkins in Holiday Green and Red, or chic Gold and Silver. To order a different colors, or another letter color, please call for assistance. Napkins & placemats gift-boxed with ribbon. Prices below include the monogram!